Face Painting Insurance in many parts of the world, (in most "first world" nations) is important. 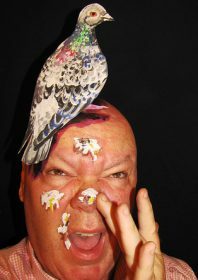 For any professional face or body painter not to be covered by public liability insurance would be looking for trouble. 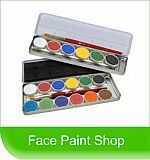 This face painting insurance covers the artist against claims brought against them due to any problems with their paints or any other unforeseen problem. People are far more litigious and conscious of their rights than they were even a few years ago. The last thing one wants to be bothered with, (as an artist), is an expensive legal battle and lawyers or attorneys fees. Especially when one has a high profile and is working at events and festivals, that are in the public eye. In this situation, any problem can be exploited by customers trying to cash in, on a mistake or problem. Legal problems can occur even from situations that are not the artists fault. At others times it can be ones own negligence (or a staff members) that can trigger a claim. For artists working at some events or fairs, sometimes this kind of insurance is mandatory. In most cases it is better to be safe than sorry and take out a relatively in-expensive public liability insurance policy. 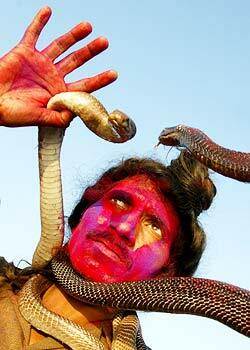 Are face painters specifically covered? What are the exclusions of the policy? How easy is it to make an insurance claim? Will the Insurance Company handle the claimant directly? For what amount is one covered and what are the limits? Is there a fee that would need to be paid first? Is there a fee per claim? What about cancellations of the policy? How do policy renewals work? Do they have experience with Face Painters claims? Can they give you the name of the person who handled the claim? Is ones own negligence covered? Are lawyers or attorney fees covered? Do any of the large Face Painting groups use them? Do the rates vary depending on the number of claims made? What & when was the last price increase? Is there a Document that clearly states what Is, and is Not covered? Some events require to be added as "additional insured". Does this policy allow this and how much does it cost per incident? Does the policy cover pros and/or casual face painters? Is any other extra cover offered. It is a good idea if you find yourself in a first world nation to find a company that offers the right kind of public liability cover. For your peace of mind and the client’s, consider purchasing face painting insurance, baring in mind the questions listed above. The following Insurance companies listed are by no means the only ones that offer this kind of service. This site is not endorsing their products or services, but merely listing the ones that are mentioned by face artists in various forums and sites. 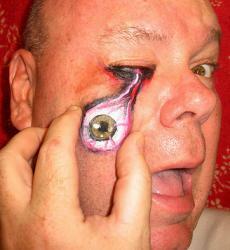 Another option is to join FACE (UK Face Painting Association) to get automatic public-liability insurance. As a member of FACE one is automatically covered by Face's block public liability insurance policy which gives individual members up to £5 million (as well as kit cover) of face painting insurance coverage. Professional Beauty Direct provides £6,000,000 legal liability cover for accidental injury to customers as a result of your negligence. We are all far more litigious and conscious of our rights than we were. The courts are interpreting negligence far more widely. Claims have soared - and so have awards. The consequences for individuals and businesses, especially small businesses, can be dire. Fred Collins, an acknowledged expert in the field, provides detailed guidance and technical advice on how to mitigate the risks facing you and how to insure against them effectively and cost-effectively. The amazing and zany artwork of James Kuhn can be see by clicking on the image above.